1. Colour or Black and White? Choosing a colour and/or a black and white large format printer mostly depends on what you expect your output to be, what print speed and print robustness you need. For example a colour large format printer can print in black and white for approximately the same cost as a monochrome printer especially at lower print volumes. The choice between black and white or colour has consequences for how your users will actually use the printer. Analysing what you need based on the type of print jobs that you do will help determine which in the end is the most cost effective. When you ask about the costs of a printer, you can get a variety of answers. The first and most likely answer will be related to the purchase price. Secondly, the running cost of the system will be addressed. Although tempting, it is not wise to base your purchase decision on the purchase price alone. A cheap printer with costly toner cartridges is actually an expensive printer in disguise. And even when you have evaluated the running cost, you’re not safe. You may think you’re getting a bargain on the printer itself but if your machine breaks down frequently or simply can’t keep up with your copy demand, then you will be paying too much in the long run. So, hidden costs can completely change the picture. To determine the return on this investment, all related costs must be taken into account, as a printer is an investment in your work processes. Initial investment: make sure that you compare similar configurations and delivery conditions. When investing in a new printer, it is worthwhile to consider costs related to switching to a new printer. Companies have hundreds of pounds of consumables in stock, which often cannot be used on the new system. Also installations of new drivers take time and therefore money. 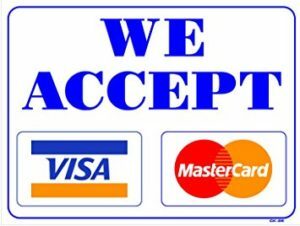 Running cost: printer running costs are the cost of consumables, media and eventually the service contract. These costs can be determined upfront by straightforward calculations. However, to make these calculations, you need to have access to relevant information. Vendors tend to provide indicative figures that are not representative for your actual day-to-day usage of the printer, i.e. the ink consumption calculations based on a ‘fast mode’ is meaningless if you always use the ‘normal mode’. Most people use ‘normal mode’ for either quality standards or out of convenience. If a service contract doesn’t cover spare parts or software updates, you have to estimate the additional costs for the short and the long term. Output: if are you printing posters, photos, technical documents or drawings, presentations, you will most likely choose colour. When you think of large format printers and ease of use, you may associate this with flashy touch screens and the many possibilities that go with this. But there is more to ease of use than the user interface of a large format printer. Other factors to consider are the ease of adding ink or toner, loading paper rolls etc. If it is not easy to load paper rolls or run complex print jobs for example, too much time will be spent on performing these seemingly easy tasks. Not only will your employees get frustrated, irritated and engage in ‘printer bashing’. Even worse, as a result of multiple misprints, they may start showing printer avoidance behavior. Not exactly what you had in mind when investing a considerable amount of money in your new large format printer. When looking at and evaluating the user interface of a large format printer, start with considering how you currently use or plan to use your printer. Deciding which type of user interface to go with (touch screen or hard buttons) follows from an evaluation. Types of print jobs: is the bulk standardised or do the print jobs require individual settings? Standardised bulk: look for possibilities of automation by using templates. Specialised print jobs: look for possibilities to maintain full control with easy ways to adjust and set parameters. User interfaces using touch screens and hard buttons can both work well. Number of users: will the printer be used by multiple users or a few specialised users? Multiple users: look for ways to automate print jobs. Besides templates, make sure the user interface is self-explanatory. Specialised users: these operators are used to a high degree of automation but still need full control to run complex jobs. A touch screen would be a disadvantage in such an environment, because the operator must pay attention to see which screen is active and to locate the ‘buttons’. It has been proven that touching or feeling hard buttons allows the operator to keep an eye on the printing & finishing process, on output quality and feeding in originals. Consumable loading: how convenient is it to load or exchange ink, toner and media? Look for possibilities to exchange ink cartridges or refill toner during large runs. Look for the number of media rolls in the printer and check if they can be exchanged on the fly. Ergonomics: what is the physical burden on the operator when operating the printer? Replacing empty paper rolls with new rolls can be heavy work; does the printer design help the operator? Are prints easily accessible to the operator or do you need to bend and stretch to get access? Is the operator panel at the right angle? When thinking about floor space, you tend to think of the 2-or 3-dimensional size of a large format printer. For sure these physical dimensions of the printer should be part of your considerations. Exact measurements can be found in the technical specifications of the product. It is however maybe even more important to take the operational floor space into account. This is the space required to make prints, copies and scans in the most efficient way possible and includes, loading media, collecting the original, collecting/collating prints, loading originals for scanning and more. There should be sufficient place for the handling and finishing of prints such as folding, enveloping and distributing. Media, toner and ink cartridges also need to be stored in close proximity to the printer for easy access. Damaged prints because they fall on the floor. Damaged originals because there is no space to handle sets of A0/A1 originals for scanning. Cost of incomplete sets – i.e. how do you measure the cost of a construction site having to slow or even shut down while waiting for additional prints to be made? A lot of printers are presented or promoted as a single footprint multifunctional solution. When you are considering this keep in mind the additional operational floor space the large format printer requires to fully operate. Sometimes a better solution can be to place a separate scanner, maybe even in a separate space. A single footprint – with multi-functionality allowing you to copy, print and scan. Dual footprint – with a separate scanner next to your large format printer (depending on your needs and workflow situation). Expressed in dpi (dot per inch and image quality are amongst the first things that spring to mind when thinking about large format print quality. High resolution however does not necessarily offer the best quality. Compare it to digital cameras. Nowadays high dpi is no guarantee for high quality photos. When printing, the way the large format printer interprets the data is as important as the print technology itself. When printing technical drawings, it is essential that dotted, fine lines are printed clearly. You don’t want to loose information. Losing a dotted line that represents electrical wiring at a construction site can have catastrophic consequences. Also when you are presenting concepts, images say more than words. Insufficient print quality may lead to losing a bid, order etc. Obviously in this case as well, sufficient image quality is essential to your bottom line. Resolution versus image processing: instead of looking at the resolution of a large format printer, take into account the way the printer interprets the data. The quality of this ‘interpreter’ is especially important when you work with fine or dotted lines and detailed prints. Quality and media dependency: for black and white large format printers, no matter what media you use, the print quality is more or less the same. When using an inkjet printer however, quality can vary tremendously. When printing on glossy or photo paper versus normal paper, differences can occur in colour output and quality of thin and fine lines. Scan technologies: when copying the original is first scanned. The challenge manufacturers face is to suppress wrinkles and folds of the original drawing while at the same time enhancing and maintaining weak information such as pencil lines. There are definite differences in quality for scan technologies by the different printer manufacturers. Most people associate security with up-to-date virus scanners on their computers. However, consider that large format printers are an integral part of your IT infrastructure. This is especially true for printers with a USB port. Protecting your large format printer is a start. But equally important is to protect your own intellectual property. Intellectual property, such as inventions, literary and artistic works, names, images, and designs used in business can be extremely vulnerable to theft or damage. Physical property can easily be hidden from view or locked up for security. However, data is very fluid in nature and can multiply quite quickly. When in digital format, data is stored on a network or hard disk; so protecting this network is crucial. Hopefully you have never experienced a breakdown of your IT infrastructure caused by a virus, but you can imagine the consequences. Losing information and loss of productivity are then inevitable. Equally damaging is theft of your intellectual property. The commercial consequences can be huge. When selecting a large format printer, security issues should therefore be taken into account. Position in the office: does the printer need a separate space or can it be placed near to people that use it? Consider the trade-off between printer proximity to potential health issues of you employees. Ideally you invest in a product that will offer you a long-term solution. However requirements evolve over time and when your business enters a new phase your requirements can change. If you buy a feature now because you think you might need it next year, you might be throwing money away. On the other hand if your needs change other than you had expected, you might need to prematurely buy a new printer. Hardware: can you add hardware such as a scanner, a folder, additional paper rolls, and additional working memory to the print engine in the future?Also consider if these upgrades can be done on site at your company. Service: can you change your service contract to for example shorter response times if needed? Financing of field upgradeability: Financing of new upgrades can be cumbersome because of investment approvals needed. Keep in mind that leasing contracts can help you with the administrative consequences easily. Speed and performance: When judging the performance of a large format printer you tend to look at the speed of the printer listed in the technical specifications. However, the time needed from the sending a print job to the printer and actually holding the print in your hand is something totally different. Compare it to the maximum speed your car can do and the time it takes you to drive to your local store downtown. Optimising the performance of your large format printer is obviously important. To continue with the car analogy: don’t spend money on a Formula 1 car when all you need is a car to get your groceries downtown. Optimisation does not automatically mean a faster printer. When looking at speed and performance of a large format printer look further than the initial specs. There are several factors to consider in order to gain a complete picture of a printer’s performance. If you have a continuous flow of documents, throughput speed is most important. If the machine is used incidentally, then the first print out time must be short. Short first print out time. Processing time: before the printer can start printing, it must process the files to be able to print them. There are huge differences in processing capabilities in large format printers in the market today. Although the size of the internal memory is an indication, the proof is in the number crunching. Warm up time: any machine, when not used for a while will turn into sleep-mode. When you push a print button however, you expect the printer to start printing straight away. In some cases it may take a large format printer several minutes to be ready to print. Speed vs. print quality mode: when using a black and white large format printer, print speed is constant. This is not the case for ink jet printers. The print speed varies depending on whether you are using a draft mode or a higher quality presentation mode. This time difference can be more than 10 minutes. Throughput: If you have a continuous flow of prints, make sure that the printer can process new files while printing previous ones (concurrent processing). Consider inter page time as a factor for print speed: This is influenced by drying time (only ink jet), roll changes, maintenance during print jobs, such as calibration, print head cleansing during print jobs. Consumers today should take a look at how their office equipment impacts the environment. This relates to waste, recyclability, energy consumption and printer emissions. It takes into account the hardware (or machine itself) as well as all consumable products. If we don’t look at the environmental implications of using our products, these decisions can ultimately lead to unnecessary waste and high energy consumption. Most importantly, the health and safety of your employees can be at stake. There’s always a risk of indoor air pollution caused by the products’ emissions. Waste:The first thing that springs to mind when thinking of waste is the ink cartridges or residual toner disposal. This is usually your prime consideration. But, what about prints that cannot be used due to poor quality, printed at the wrong location, or simply because the prints are not correct? Waste can also occur as a result of trimming when the wrong media size was loaded. Amount of waste generated: how much waste are empty ink cartridges or toner bottles generating? Check to see what the capacity of an ink cartridge or toner bottle is to estimate how often these need to be replaced. How often do you need to throw away prints due to insufficient quality or simply because the outcome is not what you wanted the printer to do. Waste as a result of trimming: how much paper do you throw away as a result of trimming? Check to see if the printer can hold different media sizes to avoid unnecessary trimming. Recyclability: When selecting a large format printer recycling plays an obvious role in the area of ink cartridges collection and residual toner disposal. 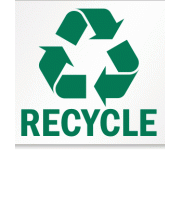 However, the printer itself can also be recycled.Is there a system in place for collecting old ink and toner cartridges? Consider whether in your case collecting used ink cartridges will impact the environment more than local disposal. Printer recyclability: Does the manufacturer maintain a cradle-2-cradle philosophy so that old printers can be refurbished, reused or remanufactured? Energy consumption: In the technical specifications you can find the energy consumption of large format printers when actually printing. However to get a complete picture of the energy that a printer consumes, it is good to consider how the machine is used on a typical day: What is the actual energy that a printer consumes? Cooling: Does the room in which the large format printer is placed need to be cooled? In many cases the heat dispersed by the printer needs to be compensated by energy guzzling air conditioning, meaning your energy bill is doubled and you end up paying twice! Emission: Some large format printers make noise, can smell (ozone), and exude heat and dust. Obviously it’s convenient to position the large format printer close to its users; it saves time. However, we often see large format printers in a separate room. Why is this? Is it floor space, or protecting your employees from the printer’s emissions? Noise, heat, dust and odors: can printer emissions lead to disgruntled employees? Consider what the large format printer’s emission is impact on your employees. Obviously a heat emitting, noisy, dusty, smelly printer is not going to do wonders to your employees’ productivity. When shopping for a large format printer, consider the printer’s waste, recyclability and energy consumption, so you know ahead of time what to expect and what you can do to better serve the environment. Lastly, check printer emissions as the printer can have a significant impact on your employees’ health and safety.